Six-year-old Raveena, a resident of Makhala village in Melghat, Amravati district, unknowingly showcases Maharashtra’s surrender to malnutrition. Raveena was being treated for malnutrition at the child treatment centre (CTC), run by the state government near her village, and was showing signs of improvement. But in April 2014, the CTC was shut down. One year on, she has once again lost weight and is in the severely malnourished (SAM) category. What’s worse, she also suffers from tuberculosis. The Amravati district is infamous for child malnutrition deaths. For instance, in two blocks—Dharani and Chik-haldara—the malnutrition rate is 41 per cent. In 2014-15, there were 307 infant deaths in these blocks, out of which 202 children were less than one year old. 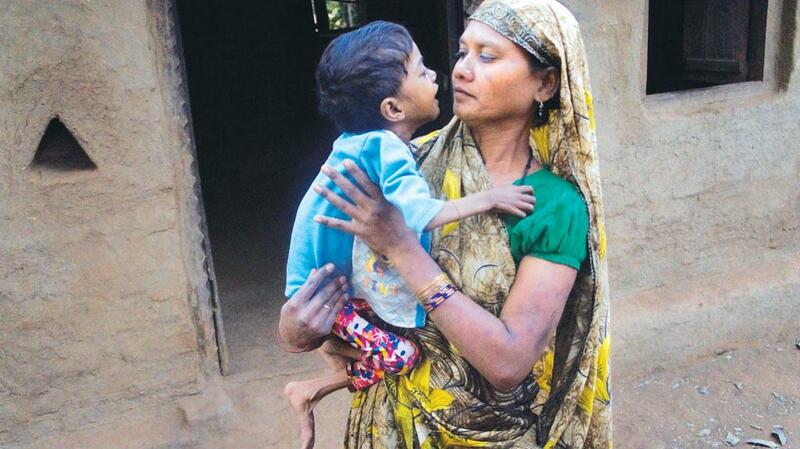 Now there are reports emerging of children such as Raveena who are falling into the malnutrition web. Maharashtra improved its position in malnutrition as compared to other rich states like Gujarat because it had developed a three-tier system to treat children with malnutrition. There were 24,167 CTCs and village child development centres (VCDC) across the state in 2013-14. But the state seems to be forfeiting its gains after the Union government cut the National Health Mission (NHM) budget by 17 per cent last year. As a result, all CTCs and VCDC were shut down. NHM used to contribute about Rs 18 crore to VCDCs and about Rs 20 crore to other initiatives. “The schemes were effective and the results too were visible,” says Vandana Krishna, director, Rajmata Jijau Child Health and Nutrition Mission, a state government initiative funded by UNICEF. In fact, there was good convergence between programmes of the Integrated Child Development Scheme (ICDS) and NHM. Anganwadi (child day care centre) workers used to treat children suffering from malnutrition, and the NHM funded these schemes. 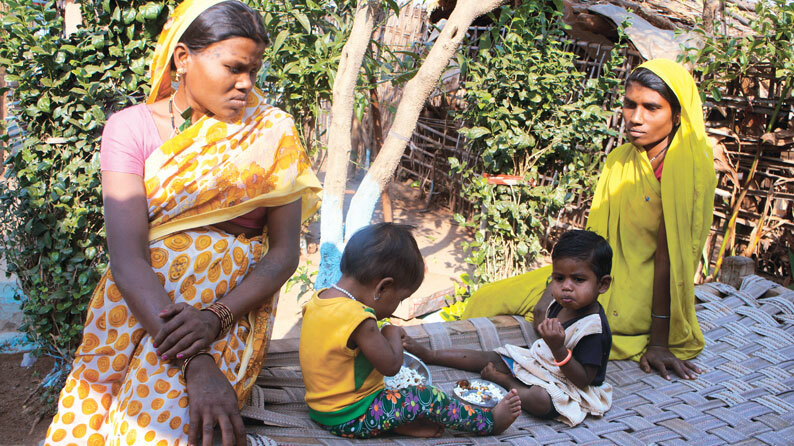 “The budget allocated for each child used to be Rs 1,000,” says Pratibha, who works with Khoj, a Melghat-based non-profit working on nutrition and health. The closure of these schemes is affecting children across the state who are at risk of malnourishment. “Our volunteers engaged in collecting data from different villages say new cases of moderate malnourished (MAM) children have emerged and those children under the MAM category have now fallen in the SAM category. The number of children who are moderately underweight is also fast increasing. If these children are not treated soon, they will fall into the stunted category,” says Purnima Upadhyay of Khoj. Mahan Trust, a Dharni-based non-profit working on health issues, has collected data from 13 villages in Dharni block, which shows a steep rise in the number of malnourishment cases between July and September, 2015. “Tribal areas such as Melghat need special attention. Here, children are dying due to common yet preventable diseases like pneumonia, diarrhoea and infections in absence of such schemes. These programmes were engaging the community on how to manage these preventable diseases,” says Ashish Satav, founder of Mahan, which also runs a charitable hospital. “These schemes were reaching out to tribal mothers and children and were managing nutrition levels,” says Bandu Sane of Khoj. In fact, during a video conference with the chief minister on December 8, 2015, many district collectors urged the renewal of these schemes. Even health department officials admit that the schemes have helped reduce the number of children suffering from stunting, wasting and underweight (see ‘Target approach...’). A reason often cited for chronic malnutrition is the diversion of water for sugarcane cultivation, at the expense of nutritive crops, says Abhay Bang, a Gadchiroli-based health worker. “Our study shows a tribal family consumes less than 50 g of vegetables per day, when an individual needs around 200 g of vegetables,” says Satav. His study found that Amravati region has a malnutrition rate of around 66 per cent, which is higher than the government estimate of 41 per cent. With the closure of these impactful schemes, the state is sadly staring at a stunted future.